Please click on The image to take you to The respective website. 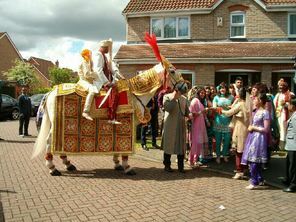 Please feel free to contact me for your Indian & Asian Wedding Horse Hire.. Very popular and recommended Event Styling and Decor Company based in Manchester and will travel. All your Music, Wedding and entertainment Needs. Excellence as Top Asian Wedding DJS.. Very highly regarded and professional Asian Wedding Caterers who cover Nationwide.